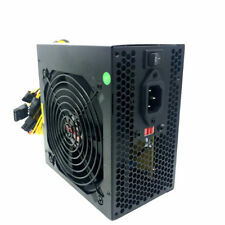 Antec Earthwatts 500W Desktop Power Supply EA-500D. Condition is Used. Shipped with USPS Priority Mail. (Read bottom. Power cord is NOT included. No exception. Picture shows actual item's condition. for more details). Local pick up isNOT available. Owner's manual. They work very hard to get quality products to you quickly. Power cable. (Read bottom. Power cord is NOT included. Picture shows actual item's condition. No exception. for more details). Local pick up isNOT available. Model 3WN11. 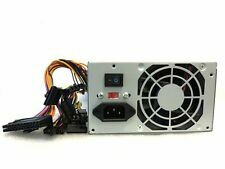 Compatibility Dell Optiplex 790 SFF, 960 SFF, 990 SFF. Manufacturer Dell. Otherwise, an unpaid item case will automatically be opened. Varies by location. ATX Connector. Output Power 550 Watt. MTBF 100,000 Hours on Maximum Load at 25Â°C. Current 25A 24A. Place your order Now! A . GREAT PRODUCT! Item as Described! 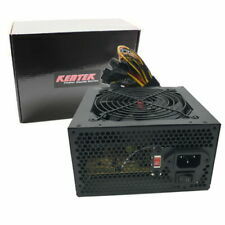 Fits in standard ATX mini tower case and micro ATX case. shark atx-500 bulk. SHARK TECHNOLOGY. Maximum Power Output: 500W. 1x 12V (P4) Power Connector. For over 10 years, SHARK TECHNOLOGY. 1x Floppy Drive Power Connector. We will respond promptly to your inquiry. “ Tested, in good working condition. ”. 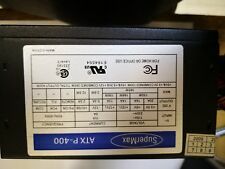 ((2) Molex Peripheral Power. SHARK TECHNOLOGY. (2) SATA Power Connector. (sub module DETACHABLE to support 20pin board). (1) Floppy Drive Power Connector. 20 4 pin) Main Power Connector. 12V Power Connector. It's fun and easy and everyone wins. Otherwise, the order is already on its way. Our approach to tech recycling allows us to utilize perfectly good products that would otherwise head to the landfill. Connectors: 20/24-pin x1 (20pin convertible), ATX 12V 4 pin X 1, SATA X 2, Molex 4 pin X 3, Floppy X 1. 120mm fan for maxium airflow and 550 watt output to support those power-hungry components! High energy efficiency. Total Output Power: 300W. Max Combined Power ( 5V & 3.3V): 90W. Max Combined Power ( 12VA & 12VB): 216W. 3.3V / 10.0A. 12VB / 9.0A. SHARK TECHNOLOGY® 750-WATT Blue LED Silent 120mm Cooling Fan. (1) Floppy Drive Power Connector. (3) Molex Peripheral Power Connector (on 2 separate line of cables for unrestricted reach). Maximum Power Output: 750W. 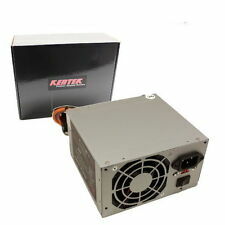 • DC Power Output: 400W. • Manufacturer: Enhance. • Energy-Efficient: 80 PLUS Certified. • 1x 20 4-Pin. Product Information. Cash on Pickup. Cashier's Checks. We do not take responsibility for compatibility issues. Max Output: 250W. - Dell Optiplex 390 790 990 3010 DT (Desktop). Manufacturer DELL. Dell P/N: CYY97, 0CYY97. 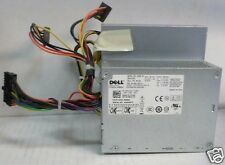 Compatible Dell P/N: W209D CYY97 XFWXR YJ1JT PDF9N 7GC81 HY6D2 6MVJH W210D. 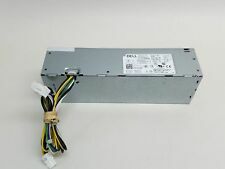 - Dell 200 220s 230s 260s SFF. Condition is Used. It’s always possible when dealing with any technology (used or new) that it may be dead on arrival. If the item is used then it has beenTested. Shows normal signs of use and storage. Model K159T. Manufacturer Dell. Otherwise, an unpaid item case will automatically be opened. Varies by location. Trending at $24.98eBay determines this price through a machine learned model of the product's sale prices within the last 90 days. This item is new in its original box. Manufacturer: HEC. Electronics Cafe specializes in used electronics. max-width: auto; }. Every inquiry is of utmost importance and we treat it as such. We strive to provide 5-star service in every category you can rate us on! (Manufacturer LITEON. A representative will respond quickly. This item passed all key functionality tests. 7) Prompt service and repair. We will try to accommodate your needs. Hours of Operation.